Whether you are in Belleville on business or to check out the sights, having the option to go where you want to go, when you need to is key to a fantastic trip. Using Belleville public transportation may be an inexpensive method to check out this neighborhood, but if you are trying to get to another part of Collinsville, you might be left waiting for a while. Taxis and ridesharing, like Lyft or Uber, can be faster, but if you are going to see as much as you can in Collinsville, the cost can start to add up. Additionally, they may not be immediately available. If you want to make the most from your trip to Belleville, then having your own set of wheels is the best way to make sure you have the opportunity to go everywhere you want to go. 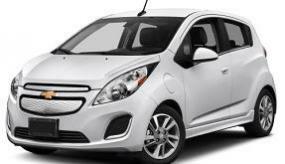 CarRentals.com can help you find an inexpensive rate and the auto of your choosing. Check out the information below to learn everything you need about car rentals in Belleville. What's the best way to get an affordable car rental in Belleville? What kind of rental car should I get in Belleville? With a number of vehicles to decide from, it may be hard to decide what type is ideal for your holiday. Nonetheless, keep in mind your needs and the number of you're traveling with. Look at the table below to help you book what vehicle is the best one for your needs. How old do I have to be to rent a car in Belleville? The minimum age to rent a car in most cities, like Belleville, Collinsville, is 21. Be aware that there is usually an added charge if you or the added driver are under 25 years of old. Additionally, if you plan to rent a higher category vehicle (premium, large capacity, SUV, etc.) there may be different age restrictions. Check with the rental car company before you book. Although many of the major card issuers, like MasterCard or Visa, offer some coverage, there are usually restrictions. For instance, they may not cover your rental car if you book a luxury or larger vehicle. Make sure to check the credit card company's policy before you book. Otherwise, as a U.S. citizen, you can also purchase Collision Damage Coverage with CarRentals.com at checkout. What fuel policy should I go for in Belleville? At CarRentals.com, we encourage a full tank policy. You should get your automobile with a full tank, and you will want to refill the tank before you return. To avoid any added expenses, you should find a gas station before you bring it back. Stations near airports or car rental places tend to have higher prices. Do any Belleville providers offer one-way? A lot of car rental providers offer one-way rentals. It may be easier to drop off your vehicle in a different area. Be aware that there is usually an added fee for one-way drop offs. Make sure to read the provider's policy to know the total cost. Most suppliers provide unlimited miles, but you want to make sure it is part of your bundle. It's helpful to know how far you want to drive and plan your trips ahead of time. Although most car rental companies offer unlimited mileage, if it isn't part of your package those miles can pile up and so can the extra cost. You may want unlimited miles if you're pondering some road trips to discover what else Collinsville or even Illinois has to offer. Are there any road trips I should take from Belleville? Once you've checked out Belleville, you'll be happy that you have your own car. There are some worthwhile stops around Collinsville that are just a drive away. Need a recommendation of where to start your trip? Cahokia Mounds can make for a fascinating day before you see what else is worth checking out in Belleville. Has an attraction in Collinsville caught your attention? Do you need to get to an appointment on the other side of town? Don't miss out on one of Collinsville must-sees or be late to an important meeting. When you have the keys to your own car, you can make sure your visit is following your schedule, and not have to adhere a bus schedule. Peruse our inventory of automobiles from some of the best car rental suppliers in the nation and choose the perfect auto for your Belleville vacation! The perfect ride is only a few clicks away.